Titleist began the seeding process for the new 917 prototype drivers on the PGA TOUR at last week’s Quicken Loans National. This week, 20 of the 34 drivers in play at the Barracuda Championship were of the 917D2 or 917D3 variety, including the winner Greg Chalmers who relied upon the new 917D2 (8.5°) prototype to become the first player to win with the new driver. He first put the new model in play last week at the Web.com’s Air Capital Classic. Fellow Titleist Brand Ambassador Ben Martin finished T7 this week playing the new 917D3 prototype driver. Statistics backed up Chalmers’ comments as he finished 6th in Strokes Gained: Off the Tee (3.888). He improved his Driving Accuracy each day by hitting 10 of 14 fairways on Thursday, 11 on Friday and 12 each on the weekend for a total of 45 of 56 or 80%. He averaged 297 yards off the tee for the week, including 315 yards per drive on Sunday. 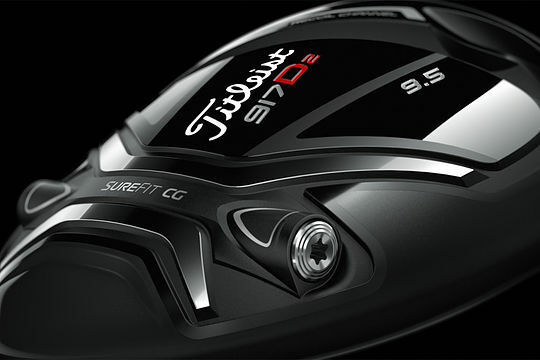 To find out more information about the new 917 drivers from Titleist, including pre-launch demo and fitting days in your area, visit Titleist.com.au/917 and register your email to receive 917 updates from Titleist Australia.